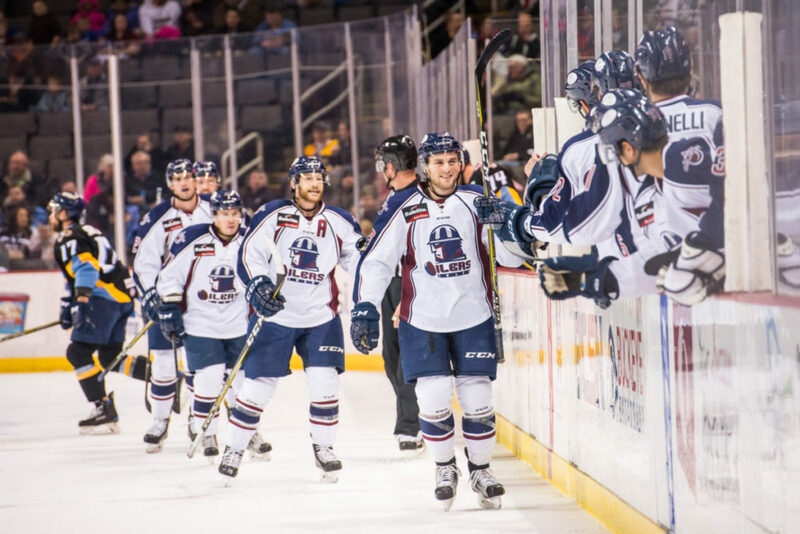 Tulsa releases complete 72-game home and away schedule for fifth ECHL season. TULSA, OK – The Tulsa Oilers, proud ECHL affiliate of the National Hockey League’s St. Louis Blues, announced its full 2018-19 schedule Tuesday ahead of the team’s fifth ECHL season and 27th consecutive season in green country. The Oilers open the 2018-19 season at home Saturday, October 13 against the Idaho Steelheads at 7:05pm at the BOK Center and complete opening weekend Sunday, October 14 against the Steelheads. As in past years, all Oilers home games Monday-Saturday will start at 7:05pm, with Sunday games starting at 4:05pm. Every Sunday home game will feature a postgame skate with the players. 28 of Tulsa’s 36 home games will be on weekends from October through April, including seven Fridays, 12 Saturdays and nine Sundays. Tulsa will welcome opponents Worcester and Kalamazoo to the BOK Center for the first time late in the regular season. The Oilers start the regular season with eight straight home games and will not play a road contest until Wednesday, Nov. 7 at Idaho. The longest road trip the Oilers will embark on is a seven-game swing starting in Toledo on Dec. 7 and wrapping up in Kansas City on Dec. 21. Tulsa also has six consecutive road games in March, but all of those games are day trips to Allen, Kansas City and Wichita. Be a part of the 67th season of Tulsa Oilers hockey by purchasing season tickets, starting as low as $17 per month. Call 918-632-7825 or visit www.tulsaoilers.com for more information. Discounted group tickets and luxury hospitality areas are a great way to take in the action with your friends, family members, coworkers or clients. For a limited time only, book your group for game and get a second group night free. Sign up now for first priority to choose which games work best for your group.